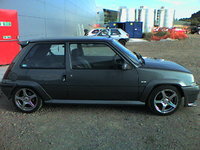 Have you driven a 1986 Renault 5? 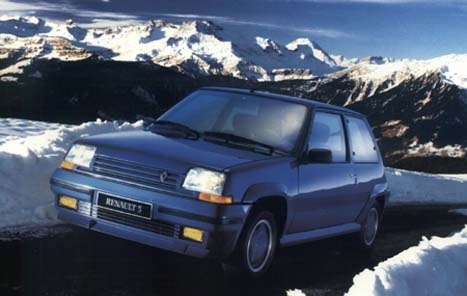 Displaying all 4 1986 Renault 5 reviews. My Cute Little French Car — I loved these little cars. This was one of three I owned - this being the last one. This was the 1.4 version and the best bits were sweeping around country lanes and roundabouts almost of two wheels - great fun. When you are on your own these cars are great - once you have children - space becomes a bit tight. Again bought the wrong colour WHITE - but at the time there were so few about at the right price. Surprisingly Fun — A TS means this was quite a fun car to drive, if you could get along with the soft suspension. As with many small French cars, it seemed to barely hold together, but somehow it did. OK, I had to replace the clutch and the fron brakes, and a few other things during the 5 years I owned it, but it was an easy car to work with so it was no big deal. Rust wasn't like older Renaults, but I had some repairs done.